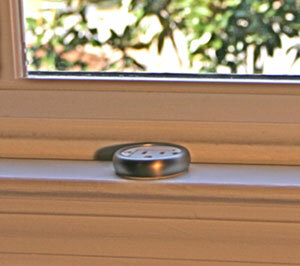 Sillites can be easily retro-fitted into existing window. 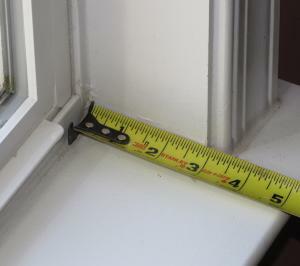 Use the SCR for normal windows with 4" or wider windowsills, or use the RR9 in sills only 2" deep. 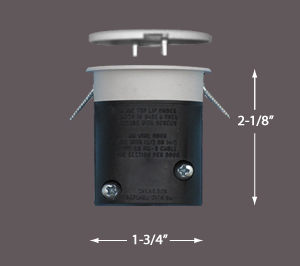 Both versions rated 125 volt, 15 amp & include paintable cover cap. SCR is also TR rated. 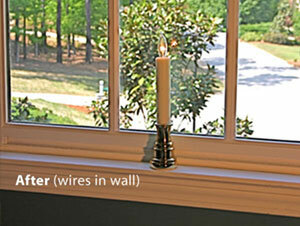 NOTE: RR9W is intended for use with SL7 candles. Can be used with SL9 candles also by ordering a base ring for the SL9 candle. Measure width of stool. 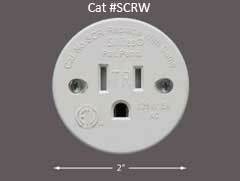 Need at least 2-3/4" within wall cavity to use the SCR. If less, then use the RR9. 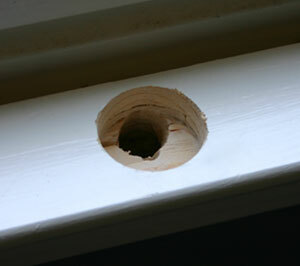 Drill a 1-1/2" diameter hole with center at least 1" from the sash. Hole must be at least �" deep. 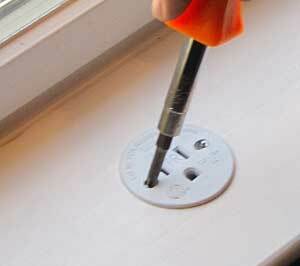 Then drill a smaller hole in rear for the wire to enter the wall cavity. 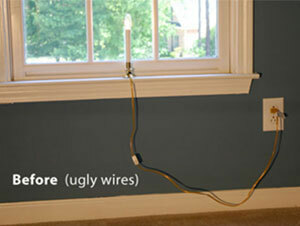 "FISH" the wire from the RR9 through the wall to the nearest outlet. 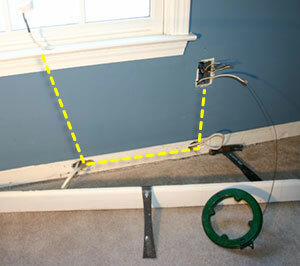 If the outlet cannot be accessed directly, simply pop off the baseboard trim, run the wire down and behind it to the outlet. Secure the RR9 with the mounting screws. 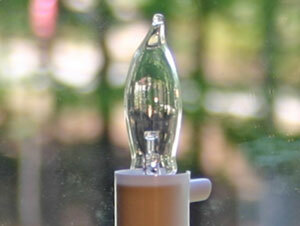 Slide the base ring shipped with the SL7 candle over the RR9. If using an SL9 candle, the base ring needs to be ordered separately. 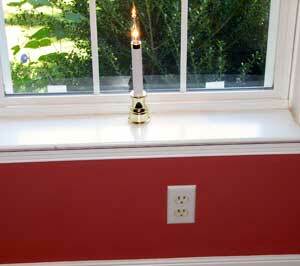 Plug in the candle and enjoy. 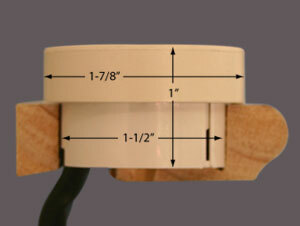 Add PCW photo-cell if needed (see accessories). 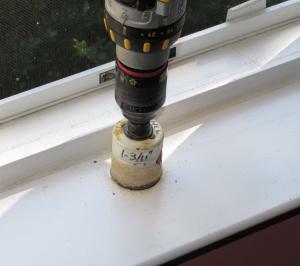 Drill a 1-3/4" diameter hole with center at least 1-1/8" from the sash. Hole must be at least 2-1/8" deep. 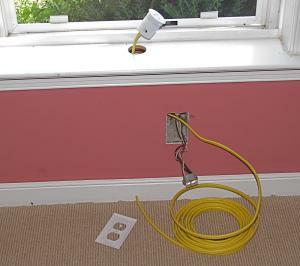 "FISH" 14/2 or 12/2 Romex wire through wall and connect to the SCR and to existing outlet. Secure the SCR with the mounting screws.